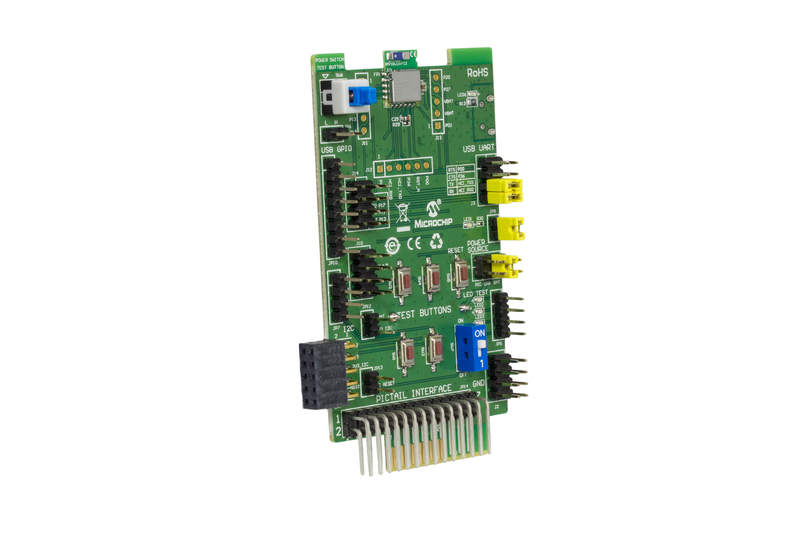 The BM71 PICtail™/PICtail Plus Daughter Board is an evaluation board that showcases the capabilities of the BM71 BLE module. The BM71BLES1FC2 EVB is designed to emulate the functions of the Microchip BM71 BLE module. The board includes an integrated configuration and programming interface for plug-and-play capability. It also provides an integrated test environment for all functions supported in the BM71 BLE module. BM71BLES1FC2 EVB (above) is the default evaluation board with module BM71BLES1FC2 (IS1871SF BLE chip, antenna and shielding case) implemented on the EVB. Test interfaces supported for all application function are connected out.